Palestine is a strategic land due to both its religious significance and geographic location. Throughout history it has been the centre of the conflict and struggle between the Muslim World and Western Christendom. In the past century it has also become the centre of the struggle between the Muslim World and the Jews. The significance of Palestine in the Islamic faith and throughout Islamic History is second only to the significance of Mecca and Madina. The loss of Palestine in 1948 is second only to the downfall of the Islamic Caliphate as the greatest loss to the Muslim Ummah in this century, and the two events are strongly interlinked. What is the land of Palestine? What is its significance in Islam? What is the real nature of the conflict over Palestine? And what is the solution to its current occupation? Until the end of World War I Palestine was part of the Islamic Ottoman Empire. The Ottoman Empire stretched from North Africa to the Arabian Peninsula through the Fertile Crescent around the Black Sea and to the Adriatic Sea. The Ottoman Empire for centuries was the most tolerant state in the world and was a haven for the persecuted religious minorities of Europe especially, but not exclusively, the Jews. Such toleration was due to the fact that it based its laws and legislation on the Qur'an and Sunnah. Within the large Islamic state there were no clearly defined borders; however, the general area in which Palestine is now located was recognised as being part of Southern Belad al-Sham. After World War I, Palestine was separated from the general area that included what is known today as Syria, Jordan, and Lebanon by the British colonisers. 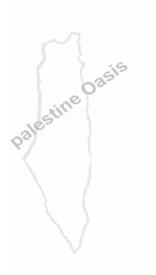 For the first time in its history Palestine become a country with defined borders and a defined area estimated at 10,429 square miles. Its borders become: to the East the Jordan River, to the West the Mediterranean Sea, to the North Lebanon and to the South the Sinai Desert and the Gulf of Aqabah. The significance of Palestine in the Islamic faith is evident by the frequent references to it in both the Qur'an and the Ahadith of Prophet Muhammad (PBUH). The greatest significance of Palestine for the Muslims is that it contains Baitul-Maqdis, the holiest place in Islam outside of the Hijaz. Both Al-Masjid Al-Aqsa and the Dome of the Rock are built in the area of the Baitul-Maqdis. Baitul-Maqdis in Palestine was the center of Isra' and Mi'raj of Prophet Muhammad (PBUH). In the Qur'an Allah says: "Glory be to the One who took his servant on a journey by night from Al-Masjid Al-Haram in Mecca to Al-Masjid Al-Aqsa whose precincts we have blessed....." Holy Qur'an, Surah Isra', Verse 1. Baitul-Maqdis in Palestine was the first Qibla (direction in which Muslims face when praying). The Muslims faced towards Baitul-Maqdis when praying during the entire Meccan period of Prophet Muhammad's (PBUH) life and for the first 16 months of the Medinian period, after which Allah ordered the Qibla to be changed towards the Kaaba in Mecca. In addition there are several verses in the Holy Qur'an and several Ahadith of Prophet Muhammad (PBUH) that describe both the significance of Baitul-Maqdis in Islam and the fact that Allah has blessed the land around it. The various Qur'anic revelations and Prophetic statements concerning the blessed land of Palestine endeared the land to the companions (Sahaba) of Prophet Muhammad(PBUH) to such an extent that when Umar ibn Al-Khattab entered the region for the first time he announced that all the lands of Palestine would be part of the Islamic Waqf for the Muslim generations to come. After studying the various Qur'anic revelations, Prophetic traditions and practices of the companions to the Prophet ,no rational mind could deny that Palestine as a blessed and holy land is of extreme importance and significance to every believer in Islam. The history of Palestine represents the history of Islam from the first prophet of Islam, Adam (PBUH), to the last prophet of Islam, Muhammad (PBUH). Palestine is the land of prophets who were sent with the message of Islam and hence should not be ruled by anyone other than those who uphold the message of Islam by implementing its laws and regulations. Al-Masjid Al-Aqsa was the second mosque established on earth forty years after the establishment of Al-Masjid Al-Haram. It is a holy site where many of the prophets were born or died, including Prophets Ibrahim, Lut, Dawood, Suleiman, Musa and Isa. While Dawood and Suleiman were able to create Islamic states in Palestine based on divinely ordained laws, according to both the Bible and the Qur'an, their descendants strayed from the path, transgressed against the laws revealed by God and thus brought upon themselves God's punishment which included banishment from the holy land. Baitul-Maqdis was the site of Isra' and Mi'raj of Prophet Muhammad (PBUH) during the Meccan period of his message. Palestine was brought under Muslim control at the time of Umar ibn al-Khattab, the second Khalifa of the Muslims. Palestine was then made part of the Islamic state being ruled by Islamic law. The new laws were welcomed not only by the Muslims but also by the Jews and Christians of Palestine who had formerly been living under the tyrannical Byzantine yoke. The Byzantines were persecuting the Christians of the area because the Palestinian Christians belonged to a different Christian sect. The Muslims however guaranteed all Christians freedom of religion regardless of their sect. In 1099 A.D. Palestine was invaded by the European Crusaders and subsequently occupied for nearly a century. During the occupation massacres and great injustices were committed against the Muslim, Jewish and native Christian residents of the area. The only law applied in the holy land blessed by God was the law of force and persecution. In 1187 A.D. Palestine was liberated by the Muslims under the leadership of Salah al-Din Al-Ayyubi who brought back Islamic law to the area. In 1916 the Arab elites announced their revolt against the Ottoman Islamic Empire at the instigation of the British who promised the Arabs an "Arab" rather than "Islamic" Kingdom. In 1917 the British government issued the Balfour Declaration which declared Palestine to be a homeland for Jews. At the time Jews made up approximately 8% of the population of Palestine and owned approximately 2.5% of the land. In 1948 The Jews claimed the establishment of a state for themselves over the land of Palestine and called it Israel. Hundreds of thousands of Muslims were forced out of Palestine under the military pressure of Jewish terrorist groups such as the Irgun, Levi, and Haganot which were financed and armed by the British army. In 1967 Israel attacked Egypt, Jordan and Syria and occupied more land including for the first time Al-Masjid Al-Aqsa. Since that time Al-Masjid Al-Aqsa has been the target of several attempts by the Jews to destroy or burn it, including several attempts to bring about its collapse through underground excavations. The Jews Know that Al-Masjid Al-Aqsa is symbolic of the Islamic nature of the land and want to remove any trace of Islamic civilisation from Palestine. In December 1987, the Palestinians began an uprising (Intifada) in the West Bank and Gaza Strip against the continued Jewish occupation. The Intifada is still alive and strong in its 5th year. Despite thousands of deaths and injuries, the Palestinians are determined to maintain the struggle for their rights and dignity. When looking at the significance of Palestine within the Islamic faith and the central role it has played throughout Islamic history, the real nature of the conflict is a civilizational conflict waged between, on the one land Islamic Civilization with its divinely inspired laws and mission to create on this earth the society of justice and freedom which has been ordained by God; and on the other hand, Western Civilization with its materialistic culture, worship of ethnicity and the state, and denial of God's supremacy. The existence of a Jewish state in the heart of the Muslim World and the occupation of Masjid Al-Aqsa is symbolic of the weakness of the Muslim Ummah and Muslims' own straying from the path of Islam in embracing imported ideologies. Masjid Al-Aqsa, Baitul-Maqdis, and the Blessed Lands of Palestine do not belong to the Palestinians or Arabs alone but to all Muslims, and only when the Muslim's return to their faith and see the conflict in its real terms can they liberate Palestine as was done in the 12th Century by Salah al-Din Al-Ayyubi who, while not an Arab, knew his Islamic responsibility in undertaking the civilization struggle against the West and Islam. Based on Palestine's Islamic history and significance in the Islamic faith, and after the failure of all non-Islamic methods to free Palestine from Zionist occupation, the Islamic solution is re-emerging as a powerful and popular means to liberate the occupied lands. Islam is a religion of peace secured by divine justice. Only Islam offers respect to all divinely revealed religions as it is the only religion which recognizes all the Prophets from Adam to Muhammad(PBUH). It is the only religion which recognizes and believes that all the prophets brought the same essential message and thus all people deserve the freedom to warship as they please without persecution or harassment. For this reason, it has historically proven itself to be the only tolerant religion with regard to the peace and sanctity of the Holy Land. Only Islam can bring back peace to the Holy Land and security for the unrestricted and unharassed worship of God, the All-Mighty, by all who believe in Him whether Muslim, Christian, or Jew. All Muslims, regardless of their ethnic background, nationality or language, are asked to join in freeing Palestine in the way Salah al-Din Al-Ayyubi, a Kurd, helped in the freeing of Palestine in an earlier era. As for their part, the Palestinian people have regained new strength in their rediscovery of Islam. As Muslims they prefer death and martyrdom determined to fight for justice, be it only with stones. Forty three years of occupation have brought neither peace nor stability to the Holy Land and history has proven that there can never be peace without justice. There will be no justice until all of the land is given back to its rightful owners who have been driven out of it. Any political plan which does not restore Palestine to its rightful owners, the Muslims, and any plan which does no bring back rule by Islamic law will not bring about real peace and will thus only lead to further violence, bloodshed, and instability.